The Churchmanor Estates Company plc is thrilled to announce that Colchester Borough Council Planning Committee have decided to grant planning permission for Stane Retail Park. 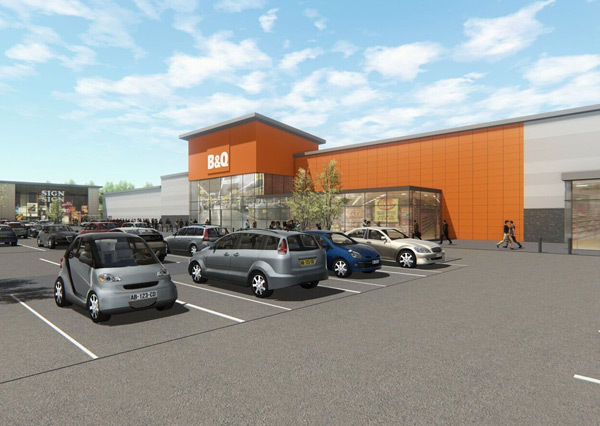 The permission is for a retail warehousing scheme comprising of a new store for B&Q, a Marks & Spencer Food Hall, Aldi and 6 additional units aimed at furniture and home ware retailers. Interestingly 60% of the space will be taken by B&Q and Aldi. With the scheme comes a range of highway improvements totalling some £2.5million which have long been required to the Eight Ash Green A12 junction and the Western Bypass. The second part of the development at Stane Park will join the existing Leisure Park, already home to the successful Princess Charlotte pub and shortly to open, Nandos, KFC and Starbucks.